Kodak is an American technology company that is historically known for its developments in photography and consumer electronics. With Big Apple Buddy’s personal shopping service, you can now buy direct from the USA Kodak online store anytime, anywhere. The Kodak PixPro SP360 4k Virtual Reality Action Camera allows photographers to transcend the ordinary and take your creative vision to the next level. The camera’s 4k resolution adds plenty of detail, clarity, and precision to help you capture your most precious moments in the best way possible. 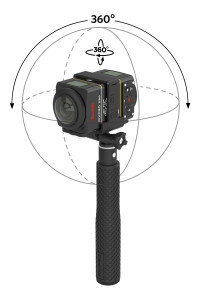 The 360 degree camera allows you to get more creative with your videos: the dual camera base mount has space to house 2 different cameras, one in the front and one in the back, so that you don’t miss any angle. Whatever your next adventure you might be, you can be sure that this virtual reality action camera will help you capture it in the best and most creative way possible! 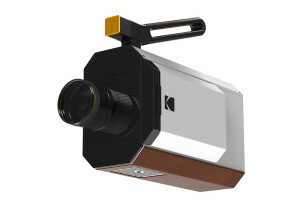 The Kodak Super 8 Camera has made it so that shooting analogue has never been easier. After you’ve bought the film and taken all of your photos, then you ship it off to the Kodak lab, where they process, scan, and deliver your photos back to you. The Super 8mm film provides filmmakers with a look and feel that is difficult to recreate through any other medium. This camera is perfect for capturing those moments that digital cameras just can’t, since they lack the depth and beauty of film. Try it out today! 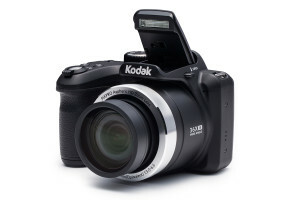 Another great option for a digital camera is the Kodak PixPro AZ365 Camera. This camera is specially designed to help you reveal your inner artist. Its easy-to-use features, brilliant color, clarity, and detail make this camera the perfect accessory to capture all of those special moments in life. Its small size also makes it an easy piece to carry around with you: so you can have it handy during your everyday adventures and during those extra special occasions. Start preserving your memories today with this camera! Unfortunately, the USA Kodak online store does not currently offer international shipping. However, Big Apple Buddy, your personal shopper, can help you buy products direct from the official USA Kodak online store and ship them to your doorstep, no matter where you are in the world. We offer international shipping to over 190 countries including Australia, Austria, Bahrain, Belgium, Bosnia & Herzegovnia, Brazil, Brunei, Canada, China, Croatia, Cyprus, Denmark, Estonia, Finland, France, Germany, Hong Kong, Hungary, India, Indonesia, Ireland, Israel, Italy, Japan, Kenya, Kuwait, Lithuania, Macau, Malaysia, Maldives, Mexico, Namibia, Netherlands, New Zealand, Norway, Oman, Pakistan, Philippines, Portugal, Saudi Arabia, Scotland, Serbia, Singapore, Slovenia, South Africa, South Korea, Spain, Sri Lanka, Sweden, Switzerland, Taiwan, Tanzania, Thailand, UAE, UK and Ukraine. If you would like to buy from the USA Kodak online store, simply let us know which items you would like to order (by filling out the form on the right) and we’ll get back to you with a free international shipping quote within 24 hours!